My daughter, Anna*, was accepted (miraculously, in fourth grade and off the wait list) to The Mirman School. The Mirman School is a private school on the Westside that has an extra requirement for entry: an IQ score in the “highly gifted” range. Such a score, of course, requires a test. And although it sounds simple – you just schedule the test, take it, and see the results – the process is far more serpentine. There are tests, and there are tests. And when it comes to trying to get tested through the LAUSD, the process gets sticky and drawn out. Anna completed kindergarten at her preschool. Upon entrance into first grade at Third Street Elementary School in Hancock Park, an LAUSD school, there were signs of trouble. Anna had no difficulty with the work. But she drove her inexperienced first year teacher crazy with questions and queries, to the point where the teacher humiliated her for it. Never have I been so angry with a teacher. Her standardized STAR tests, however, were excellent. Second grade was better. A very experienced teacher took Anna in hand, gave her extra responsibilities and she seemed to flourish. He recommended testing so that she would receive “Gifted and Talented” status, something that might not do much for her at Third Street, which has almost no extra programs for GATE, but would help her in the public system later on in terms of magnet and other specialized programs. She was tested the weekend after school let out for summer break. And it wasn’t a true IQ test. It was something called the Raven’s Progressive Matrices, which is a non-verbal intelligence test given (at least by LAUSD) in a group setting. Anna is a very verbal kid. We found out later that she left the test early. Repeat: She blew it off. And they let her. Timeliness is not LAUSD’s strong suit. After waiting for the results for months and calling the headquarters repeatedly, we decided to get her an independent test. Independent tests, by the way, are not recognized by LAUSD. One of its own psychologists would have to administer an IQ test to have it count. Good luck scheduling that. At this point, Anna was in third grade, finishing her homework in 10 minutes, and apparently having “listening” problems in class. She didn’t have Attention Deficiency Hyperactivity Disorder. Her grades were great. So what was up? An IQ test is given one-on-one by a psychologist, and we found Beth Levy through a friend’s recommendation. She tests kids out of her very cozy home office. There was absolutely nothing stressful about the test process. Levy was warm and friendly, a mom herself. She told us to go on a walk, and she and Anna got down to business. Upon completion, Anna was sent into the yard to play and Levy sat down with us to go over the results. There are two IQ tests commonly used: Stanford Binet and the WISC IV. There’s a slight difference in the scoring. Levy uses the WISC IV. The test’s total score is divided into categories like verbal, performance, working memory and processing speed, which in turn are divided into subtests. There are no math problems or anxiety-provoking scenarios. Anna enjoyed the test and the individual attention. And her score was pretty high. In fact, I was surprised. Then again, it’s nice to know exactly why she’s always been such a pain in the neck. Of course, once the cat was out of the bag, it’s hard to jam it, hissing and clawing, back in. Levy almost immediately recommended a private school situation for Anna. She pushed Mirman, a school I always thought was for scary smart kids (not my kid, I thought), as being a good choice for her. We went from being merely curious about a test score to full on shopping for private schools. Ironically, after getting her IQ tested, her Raven’s score came back. LAUSD decided she was not gifted or talented. I guess that’s what happens when you let the kid leave the test. We would either have to push for a second, LAUSD administered one-on-one IQ test, or scream, yell, and get her teachers to write letters attesting to her working at least two levels above her grade. We went with that option, she ended up in the GATE program. But, as there are no GATE programs at Third Street, it did her no good at all. Then came the last-minute acceptance to Mirman, and suddenly it was no longer relevant. So, how beneficial is it to get your kid IQ tested? Even after the debacle with LAUSD, I still think, that it’s absolutely worth it for public schools. There are good magnets out there and some schools do have specific programs. If nothing else, it gives you some extra leverage with your child’s teacher and gives them some perspective on your child. For private school, in most cases, it’s really not necessary, since most private schools will work with your child on a much more individual level anyway. Anna will start at Mirman this week. She has no idea what kind of school it is, only that it’s going to be more of a challenge. She’s about to go from academically skating to possibly flailing for a while, until she gets her bearings. But that’s OK. I’d rather have a kid who’s challenged and often surpassed by her peers than going through life thinking everything’s going to be easy. * Name changed for privacy. Jenny Heitz has worked as a staff writer for Coast Weekly in Carmel, freelanced in the South Bay, and then switched to advertising copywriting. She now writes about gift ideas and products on her blog, Find A Toad. Congratulations to our wonderful guest blogger, Jenny, for being published in the Daily News! Dr. Beth Levy can be reached at 310-487-2206. When we were looking at kindergarten for my daughter, I think we toured about 10 schools. There were two school tours that I’ll mention in this post because (1) they are extremely coveted schools with big reputations (and, we found, egos to match) and (2) my husband and I abandoned both tours mid-stream in order to maintain our sanity. The first school is a near-impossible-to-get-into K-12 school, not exactly close to our house. With traffic, it’s about an hour drive. Our tour was scheduled for 8:30 a.m. I scheduled my nanny to come at 6 a.m. to make sure we could leave the house on time. On the way to the tour, my husband and I had an argument. Traffic was horrible, there was road construction and a detour. My husband had already decided this wasn’t going to be a drive we could do. I wanted to continue on to the school and complete the tour. We were totally stressed and snapping at each other. He was driving, tailgating the car ahead. He knows this makes me carsick. We arrived at the school and were greeted by the admissions director, an ice queen. She had us and the other group of parents stand outside the admissions office while she told us about the school. It went on for an eternity. The ice queen droned on. Bored out of my mind, my eyes wandered. Parents were dropping off their kids for school. A very showy drop-off scene. We waited for a few late arrivals than preceded to start the tour. The actress Maria Bello, wearing Hudson Jeans, was on the tour, along with her ex-husband. My husband was on the verge of being an “ex” as well, as he made small talk with Ms. Bello, striving to find some commonality in their Philadelphia roots. When he made reference to her cheerleader scene in “A History of Violence,” I ushered him away for a sharp elbowed reminder of why we were there. The building of this school is quite nice. It’s big and relatively new. The walls are adorned with the art of famous LA artists. Although this art was probably donated, the artists on display sell their work for hundreds of thousands of dollars per painting. We went into the kindergarten classroom, where they were doing show and tell. Show and tell? In my mind, that’s an old-fashioned, dated waste of time. This was a hip, modern school. The teacher had a kid up at the front of the class with his item to show. It was some sort of small animal, as I remember. Another little girl was sobbing hysterically, since school had just stared a few weeks earlier. It was hard to focus with her crying and they finally had her leave the room with a teacher. Not impressive. It definitely didn’t live up to the hype. Then, it was time to go to the math class. The teachers talked about the math program, which seemed fine, if not a bit fuzzy. They also seemed quite proud of the fact that a girl in the class had broken her arm on a recent overnight field trip. I’d pay more than $20,000 to have my kid break an arm on a field trip? This school is big on community service and really touted its various programs to help the community. Parents on the tour seemed very impressed by this. To me the programs seemed outdated and stale. There’s a lot more innovative stuff happening in LA schools, but it wasn’t there. The programs appeared to be at least a decade old. Parents were complimenting the admissions director at every opportunity. I was sure Maria Bello liked the school the most of everyone. She keep oohing and nodding with approval at everything. To me, the school seemed chilly, it lacked warmth. Perfect buildings, gorgeous artwork, no energy, way too quiet for a lower school. After the community service portion of the tour, my husband and I gave each other “the look” which means “let’s go”. The tour wasn’t finished, but we knew this wasn’t the school for us. We left. In some ways, it feels good to cross a school off your list. On the other hand, that leaves one less option. Plastic surgery. Designer logos. Super-high heels. Haughty attitudes. The Real Housewives of New York? Nope. 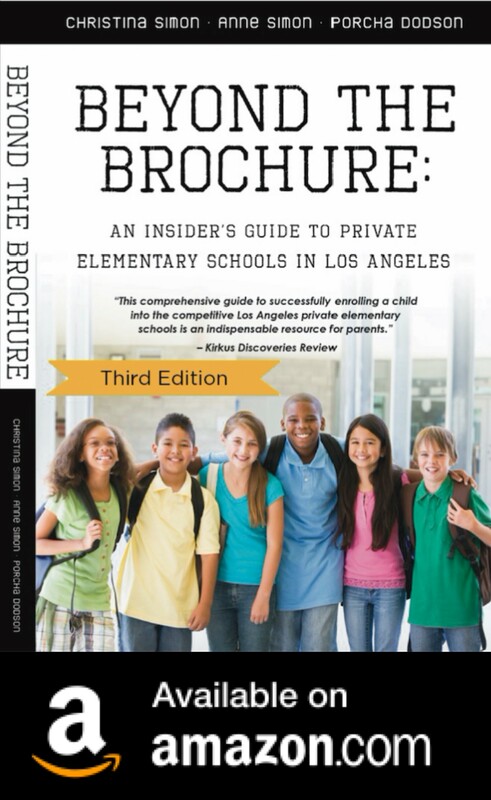 A private elementary school tour in Los Angeles. The second tour we abandoned is yet another super-difficult school to get into. I was curious to see this school since it is one of the most sought after private elementary schools in LA. This is partly because of the celebrities who have kids at the school and partly because of the parents at the school, many of whose heads are swelled to the point of bursting with self-importance. Of all the schools, this school suffers (or benefits) from the most rumors about how many kids will be accepted, how many siblings, etc. Parents can spend hours talking about whether this school will admit one or two new kids in a given admissions cycle. We toured it at the suggestion of our preschool director. We arrived and were told we’d be on a tour with two other families. There were lots of other tours taking place at the same time. This school has a low-key exterior and location that belies its interior pretentiousness. The mom who was our tour guide was very unfriendly, had a plastic surgeon husband (who had clearly worked on her face, and my husband speculated a little too loudly, her rejuvenation) and knew very little about what was actually happening in the classrooms. She was jittery and unfocused. I wanted to switch tour guides. Her focus was to look around to see who else was on the other tours. Head to toe in designer clothes, she had zero interest in my family. None. She never made eye contact. Nor did she have any interest in our companion family on the tour. They were not wealthy enough, it was obvious, even though the husband mentioned he was a lawyer. After the tour, the head of school welcomed parents in the auditorium. This head of school is very impressive. Or so the head of school told everyone in the ten minutes that were allocated to us. However, we knew that wouldn’t be enough to make this school work for us. 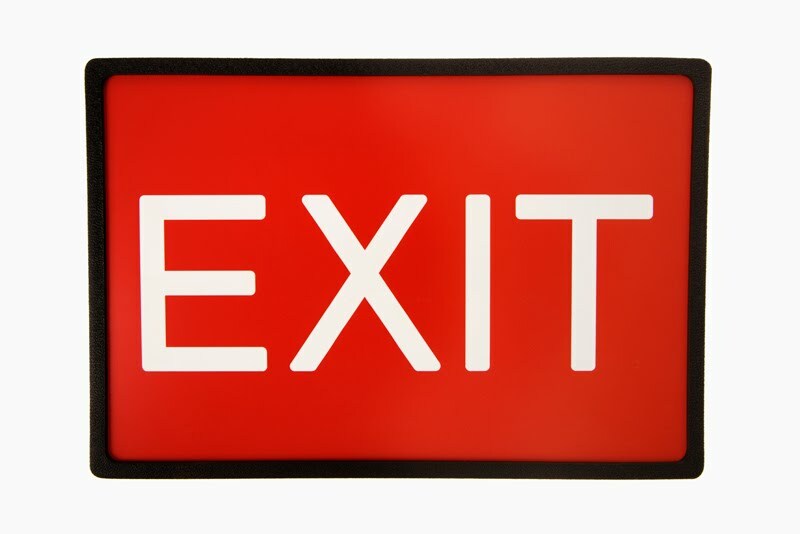 My husband and I saw a door marked “Emergency Exit”. Too bad, or we could have made our escape. Again, we gave each other “the look” We made a quick exit out the front and were gone. I write about these two abandoned tours to say that even if everyone else likes a school, you may not. It’s better to bow out early than waste everyone’s time. I couldn’t get excited about either school. Parents all around me were practically hyper-ventilating they wanted a spot at both these schools so badly. These two schools were all theirs. Our preschool director tried to get us to re-think this school. Tour it again. We have friends there and they love it. It simply wasn’t right for our family. Interesting article…I have child who is one of the oldest in the class and one child who is the youngest in the class. My daughter started kindergarten at age 6 (late July birthday) and is one of the oldest in her class. My son, on the other hand, entered DK at age 4 (mid-July birthday). He was the youngest in the class and entered kindergarten at age 5 and was the youngest in kindergarten too. So far, so good for both of my kids. I relied on my preschool director for guidance on this issue. AFTER all those attentive early childhood rituals — the flashcards, the Kumon, the Dora the Explorer, the mornings spent in cutting-edge playgrounds — who wouldn’t want to give their children a head start when it’s finally time to set off for school? Suzanne Collier opted for a “transitional” year for John, 5, rather than kindergarten. Rachel Tayse Baillieul “agonized” about keeping Lillian, 4, in preschool. Hers is a popular school of thought, and it is not new. “Redshirting” of kindergartners — the term comes from the practice of postponing the participation of college athletes in competitive games — became increasingly widespread in the 1990s, and shows no signs of waning. What once seemed like an aberration — something that sparked fierce dinner party debates — has come to seem like the norm. But that doesn’t make it any easier for parents. “We agonized over it all year,” said Rachel Tayse Baillieul, a food educator in Columbus, Ohio, where the cutoff date is Oct. 1. Children whose birthdates fall later must wait until the next year to start school. But her daughter, Lillian, 4, was born five days before, on Sept. 25, which would make her one of the youngest in the class. Question: Do you believe it really matters where a child goes to preschool when it comes to applying to private elementary school? I am making myself crazy about choosing and getting into the right preschool and would like to let go a little if it doesn’t have a big effect. Thank you for taking a moment to give me your perspective. Answer: I think your question is a good one–and one that isn’t asked enough by parents. It’s my opinion that it does matter where your child goes to preschool if you think (or know) you want him/her to go to a private elementary school. Obviously, the most important factor is your child’s happiness and well-being at preschool. But, if you want your child to go to private elementary school, some preschools have more experience helping families go through the admissions process than others. “Feeder” preschools, as they are called, send their graduates to specific private elementary schools each year. They have experience helping families go through the admissions process and they have a track record of helping kids from their preschool get in. On the other hand, if you send your child to a preschool where the majority of kids go to public elementary school, the preschool director may have very little knowledge about private admissions and may also have very few contacts with admissions directors. Furthermore, he/she may have little interest in helping guide you through the process. That said, private elementary schools accept children from many different preschools, some “feeders”, some not. I knew early on that I wanted my kids to go to private school. I picked a preschool for my daughter that I knew sent at least 50 percent of its graduates to private school. And, then when it came time to apply to schools, our director was a huge help, every step of the process. However, when your child is at a “feeder” preschool, you will be applying to schools along with other families from your preschool. It can get stressful! I think the best thing to do is to apply to several preschools you like, some of which are the ones that you know send kids to private elementary schools. And, apply to some that are perhaps less competitive to get into and are less known as “feeder” schools. Then, you’ll hopefully have options to choose from. Some of this depends on how much help you think you’ll need from your preschool director to go through the admission process for elementary school. If you think you will need a lot of support, think about that when you select a preschool. There’s a lot that goes on behind the scenes between “feeder” preschools and admissions directors that can help you get into schools. For example, if your child is wait-listed, do you have a preschool director who can call admissions directors to help get your child off the wait-list. Some preschools can do this, others can’t.